Welcome to the Cockpit Identification Quiz!. 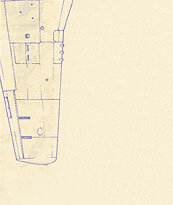 You will be given a series of 4 images of aircraft cockpits with four possible answers. For each image, select your answer by placing a checkmark in the appropriate box and clicking the "Continue" button. Your mission is to correctly identify all 4 images! Please sign in to take the Cockpit Identification Quiz. If you correctly identify all 4 images, your name and other information will be displayed on our "Page of Fame" and you will receive a special bonus!